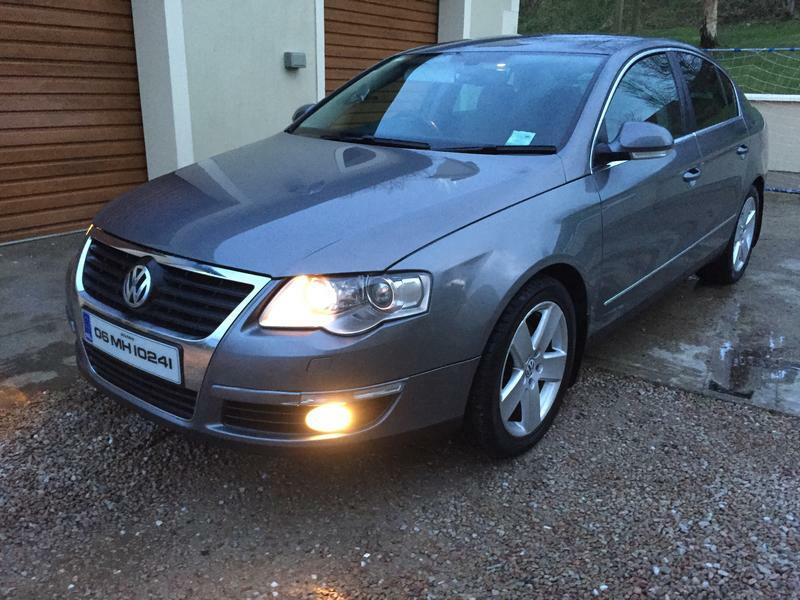 Please Help Passat post-sale headache!! I recently replaced a faulty injector on my BKP Passat which rectified a shudder at idle. The car was going absolutely perfect for a few days, I had been driving it and there were no issues. I advertised the car for sale on Wednesday last and there was some interest. So to cut a long story short, on Friday evening I was taking the two mile journey to meet a potential buyer. I had started the car fifteen minutes beforehand to heat it up as it was freezing here that day. I continued and pulled into the car park beside the potential buyer. I switched the car off and hoped that it had been my mind playing tricks on me! He looked around the car and then we set off on a test drive. To my dismay, the car remained in this "misfiring" state. I should add that the car was very low on Diesel before I left home, I had intended on putting some in on the way to meet the buyer but the misfire made forget all about it, my mind was all over the place. I told him to pull into a garage where I put in some diesel and we took the car on a good hard drive , revving quite hard. The problem seemed to remedy itself and the car was back to normal and full power seemed restored. He rang his "mechanic" who diagnosed it as "something simple like an airflow meter"
He was happy with the car otherwise and we agreed a price, with me allowing some money off asking price for the aforementioned issue. I received a text this morning informing me that the problem had returned and he had been informed that the car needs a flywheel and it would cost €700. After that overly long backstory, my question is, does anyone think that it could possibly be the flywheel? My instinct is NO because of the intermittent nature of the problem. Also there is no vibration through the clutch pedal or a noise that goes away when clutching?? I told him this on the phone and he reckons he was told that "they can go in different ways"
Could it be something to do with dirty diesel? My local garage only recently started selling diesel again and in the short time I have owned the car, I have put maybe 25 litres in from there. I filled it in Dublin the day I bought it and had not been driving a massive amount. So, flywheel or no flywheel, whats the general consensus? Apologies for the long post, I just wanted to give a clear description of the issue......Any guidance will be much appreciated! I know but he doesn't seem to agree. I'm just baffled, It couldn't possibly be the DMF with those symptoms, could it?! A worn DMF does create a judder, most noticeable at low revs when accelerating / going uphill at low revs or pulling away in my experience. Hard to tell from a description though. Yeah thanks for the input, but this was more like a misfire than a shudder. It was happening throughout the rev range and the car seemed to be way down on power. Tell the buyer to replace the fuel filter and tank up with a fresh tank diesel. Wonder if its got dirty fuel or had dirty fuel and its blocked/blocking fuel filter. That's basically what I had told him. it was left on Saturday evening that he was to go get a second opinion on Sunday as he was 90% sure it was the DMF!! And said he would be in touch on Sunday to let me know "how much I have to pay towards fixing it!" This was one of the old girls for sale ad pictures.... I miss my B6 would you believe it! You say it seemed to get better with the 'Italian Tune Up'? Mine had a stutter after a year of ownership that resembled a misfire and it was the VNT mechanism sticking - it eventually worsened until it popped a couple of under / overboost codes. Split and cleaned the turbo, greasing the edges of the actuator ring inside and it was fine again. Working the actuator rod vigorously can give it a little more good running time but eventually the carbon deposits inside the exhaust shell will cause the mechanism to stutter then later on seize. How long after you post a for sale before it appears?